When you make this punch correctly it will be a slightly yellow brown color, hence "Dirty Christmas Punch." The cinnamon and peppermint bring out hints of the holiday season without being overbearing. This is also a great drink to put in a crock pot on low and serve warm with whip cream. Your friends and family will appreciate the effort you take to make large quantities of this tasty group libation. Offering some lime wedges and cinnamon sticks for garnish class it up a bit. Combine chilled juices and all other ingredients in a punchbowl or pitcher so you're guests can help themselves. Use the cinnamon syrup to balance your punch. Start with less and add more till it is the right balance of sweet/tart for your liking. Use the largest ice cubes you can to prevent too much dilution, like making HUGE ice cubes in a bundt pan or other baking dish with a nice shape. Always offer your guests a 6-8oz cup for punches. This prevents your friends from getting tipsy too fast. 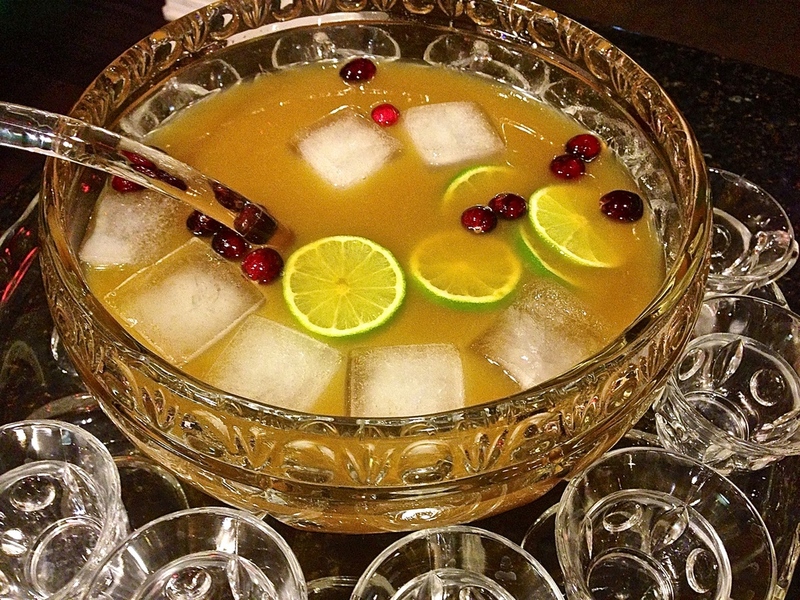 A festive punch bowl filled with rum, spices and fresh juices always makes the holidays bright.